Oxford student Lulu Jemimah, 32, was fed-up of her family lecturing her on the importance of settling down with the right man. But marriage is the last thing on her mind as she studies a masters in creative writing at the prestigious university. So, in a bid to get her parents off her back, she decided to stage a mock wedding and sent formal invites out to her nearest and dearest. 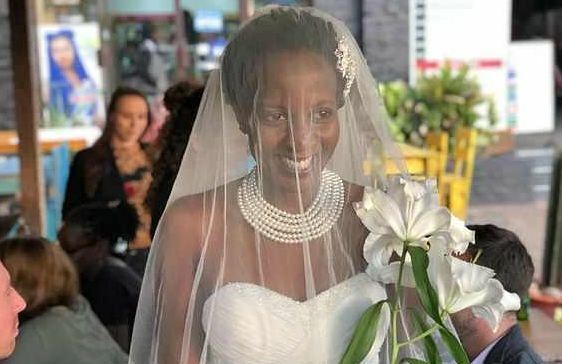 She hired a dress, walked through the venue to the traditional wedding march and even gave a speech to her guests explaining the lack of a groom. Lulu admits her Ugandan parents are baffled by her decision – but said she feels it was the perfect commitment to herself and her studies. 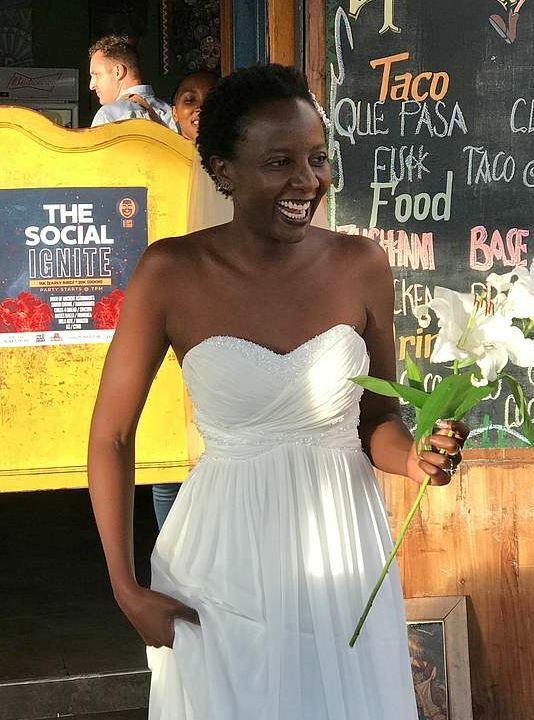 Lulu returned home to Uganda for her birthday in August and was planning a ‘low key’ celebration, until friends convinced her otherwise. 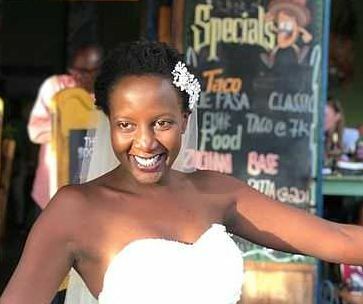 She joked she’d ‘show up in a wedding dress’ – and the idea stuck. ‘Then I decided, you know what weddings seem so important here – I will marry myself.’ She said.